The news about Syria, especially since the US recently sent a bunch of bombs in its direction, can be overwhelming but it's important, really important and as Americans and humans and citizens of this world, we need to be doing what we can to educate ourselves on the Syrian Civil War. 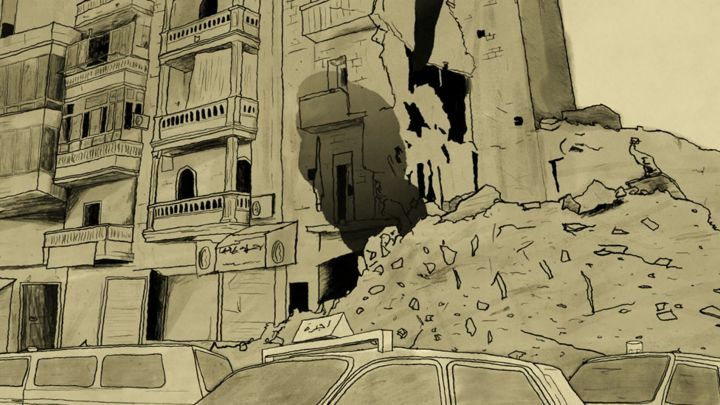 A good place to start, especially if you are intimidated by reading about foreign affairs, is The Raqqa Diaries: Escape From "Islamic State" by Samer. First - Samer is a pseudonym, to protect the author who was forced to leave his country after being targeted by the Islamic State (referred to in the book as "Daesh" - as it is known in much of the Middle East). He is 24 years old, a former college student and a member of the resistance who took to the streets against the authoritarian control of President Bashar al-Asaad and then also became targeted by Daesh after they took control of his city. Framed as a series of diary entries and illustrated by Scott Coello, The Raqqa Diaries takes readers through the chaos of Samer's life as he reels from the heady days of demanding governmental reforms in the streets to the invasion by Daesh, air strikes by Russian jets and the subsequent involvement of multiple other groups in the war, all with agendas of their own. Here's the first thing you learn while reading this book: Syria is complicated and anyone who suggests it isn't is a liar. In some ways, Samer's story is very straightforward. He writes about people being dragged away by al-Asaad and tortured, including his own father, for speaking about about government corruption. He writes about his friends who are targeted by Daesh for speaking out against their corruption and getting publicly murdered in executions that everyone is required to attend. He writes about getting arrested himself. He writes about getting tortured. He writes about his father being killed in an airstrike. He writes about longing for college and work and the girl he loved, who was forced to marry a Daesh fighter in order to save her own brother's life. He writes, in just over 100 pages, about the end of his world. And then he writes about saying goodbye to his family and running for his life. The very least we can do is read his story. Really - the very very least we can do. No one should ever criticise a government official for stealing from his country, he said. After all, he continued, such a person might need to use public money to build a palace for himself to 'make the country look more civilised.' Or maybe he would go on to be really successful in business and become one of the country's top businessmen and wealth creators. And that was why officials should be allowed to do what they wanted. Let's keep that in mind, shall we? The Hama massacre of 1982 taught our people a valuable lesson. Under the command of the country's president, Hafez al-Assad [current president's father], the regime ended up killing more than 35,000 civilians in the heart of Syria, yet there were no repercussions. No journalists covered the atrocities, so people didn't know they had happened. We remember this. That's why we make sure that anything that happens in this war is documented and published outline through social media outlets. Pay attention to Syria; people are literally risking their lives for our attention. And check out The Raqqa Diaries; it's a fast, compelling, unforgettable read and well worth your time. 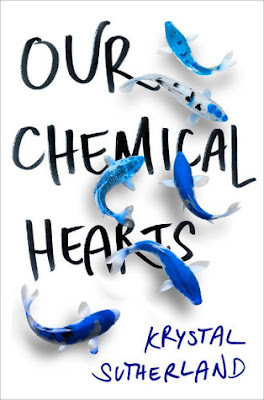 As the literary site Bookslut is no longer active, I'm going to cross post some of my older reviews from my YA column there so readers can rediscover some of these books. I last reviewed for Bookslut in 2014. 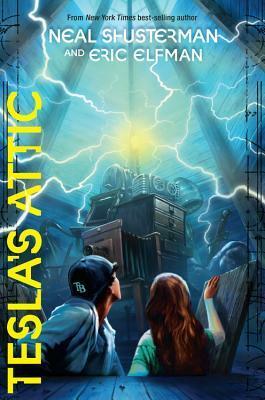 Tesla's Attic by Neal Shusterman and Eric Elman is billed as a middle-grade title, but I think it actually works best for teens. 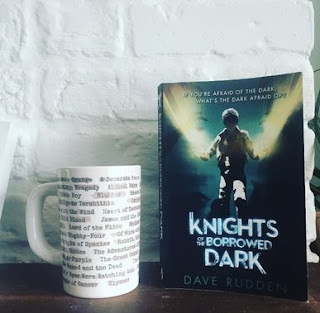 The only thing it is missing from standard YA fare is romance and frankly, sometimes teen readers don't want romance in their mystery-adventures. For those interested in what strange things could be lurking in an inherited house and how they tie into a potential "Men In Black" conspiracy, then, Tesla's Attic fits the bill. Make the heroes a smart and fearless group of Super 8 level teens who are not superpowered, not magical and not on the cusp of finding some mystical object that will make them superpowered or magical, and you have a great start to what is billed as the Accelerati Trilogy. Fourteen-year-old Nick, his younger brother and father have moved into his great aunt's house large rambling Victorian house, which was left to them in her will. Still reeling from the recent death of his mother in a fire, Nick is struggling to hold his family together as they make their way in a new town, new school, and new family reality. Cleaning out the attic for a garage sale seems like a good idea, as Aunt Greta was knee-deep in a lot of who looks like junk. Unfortunately there are some bizarre side effects to the seemingly innocuous toasters, vacuums, tape recorders, and other items that make their way into the community at the surprisingly successful sale. After some strange occurrences at home, Nick realizes he has to get all the stuff back and enlists the help of some classmates who have been freaked out by their purchases. In the meantime, the group tries to figure out just how these things got to be so powerful and who might have built them. Tesla fans will already know that there are plenty of connections between the inventor and Colorado, so the idea that he might have stashed a few things in an old friend's house for safekeeping is not beyond the realm of possibility. Just what the inventor was up to with all this stuff is another thing however, and when a group of deadly physicists appears who really wants the stuff, (and is willing to do whatever it takes to get it), then the stakes increase exponentially. It's one thing to save a neighbor from a wild toaster but quite another to face down folks who are as likely to kill you as negotiate. Nick has to get a grip on what he has unwittingly loosed on the town and also be mindful of his family, who don't know what's going on and are facing their own demons as well. The chemistry between Nick and his friends, Mitch, Caitlin, and Vincent, is really fantastic. They are a complicated group, not all necessarily likable, and hiding their own secrets as most of us do. They come together first because of circumstance -- each has one of the attic objects -- but slowly, as they work on solving the mystery, they become friends. It's a lot of fun to see them form a team and the way Shusterman and Elfman have written them, as teenage "everymen," readers will easily be able to project themselves into the story. Tesla's Attic was a very fun read for me, one of the more engaging and surprising titles for teens I've come across in a while. Edison's Alley and Hawking's Hallway round out the trilogy! 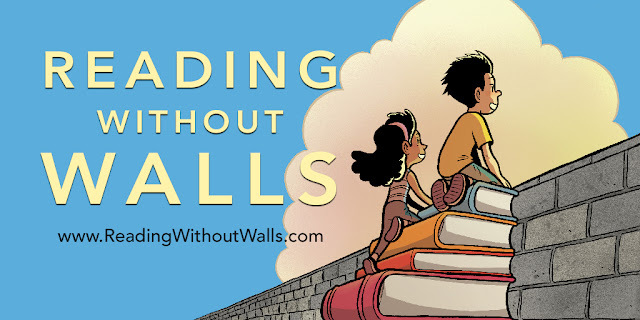 As described by Macmillian, Reading Without Walls is a month-long, nation-wide program to promote diversity in reading, inspired by National Ambassador for Young People's Literature Gene Luen Yang and his ambassadorial platform. Thousands of schools, libraries, bookstores, and comics stores are joining in - and so can you! It's easy to take the Reading Without Walls challenge - simply find something new and different to read, and let books open up the world around you. What are you waiting for? Go find a book that fits each category, or whichever challenge you like the best - or find one nifty book that fits all three! Magic, young apprentice...evil wizard...seems pretty straightforward right? Well not so much. Set in a coastal Maine town, Sherman's novel mixes realistic fiction with fantasy in just the right amount to enthrall both lovers of fantasy as well as realistic fiction in equal measure. Nick is a tough cookie. he has to be, he lives with a bully older cousin and an uncle who doesn't know how to spare the rod. Could Nick help his case by not getting into trouble at school so much? Sure. 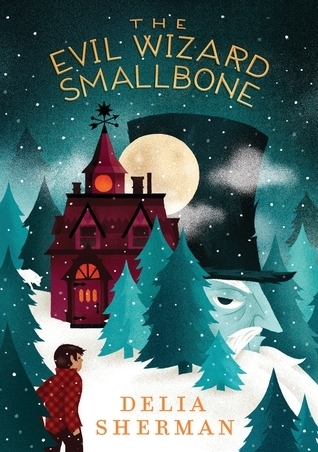 Nick doesn't learn his lesson though so he seizes his chance one bitterly cold night and runs away and ends up in a strange house with an even stranger old dude who just so happens to be a wizard-an evil wizard if you believe the denizens of Smallbone Cove. Before long Nick is learning a thing or three about magic and beginning to tolerate life with Smallbone, his quick temper and his menagerie of animals. Journeys to Smallbone Cove are exciting too and You can't escape your past though and Nick finds he has big choices to make when his former life catches up to him. This is a slightly irreverent read as you may expect. Insults and barbs fly back and forth regularly so I would recommend it for ages 9+ simply because I think most kids at that age have enough sense to know not to go around repeating the stuff they read in books. Some read alikes are Rick Riordan's Magnus Chase series, Kelly Barnhill's The Girl Who Drank the Moon and Holly Webb's Rose. Denizen Hardwick's having a tough week. First, he's stuck in Crosscaper orphanage. That's not a huge deal because he's been there his whole life. He has no memory of his father. His only memory of his mother is that she smelled like strawberries and used to sing to her. Then, on his thirteenth birthday, everything changes. Denizen gets a visitor, a mysterious man that tells him he's going to take him to see his long lost aunt. On the way to see his aunt, something weird happens. The air becomes electric and his stomach feels queasy. The driver pulls the car over and steps out. I review Gary Paulsen books here quite a bit. That's because he always delivers. I've never read a book of his I did not like. 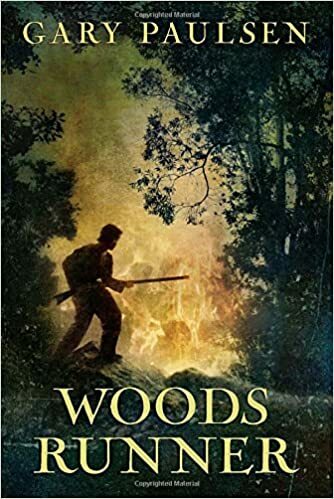 Woods Runner is historical fiction. It takes place at the start of the American Revolution - the War for Independence. Thirteen-year-old Samuel is out hunting when he notices a lot of smoke rising. He runs home to find it burned to the ground, with no sign of his parents. But he notices tracks indicating the British soldiers have taken his folks with them, so he sets out to track them down. I don't want to tell you the whole story, but Paulsen does something different in this book: Scattered throughout the novel are short explanations of sides that fought during the war, the weapons, the terrible state of medical knowledge at the time, "Frontier Life," and the difference between the Continental (regular) Army, the volunteer militia, and the Rangers (small groups of guerrilla fighters), plus other interesting facts from that period. The firearm issued to the British army was called the Brown Bess musket. It was a smoothbore and fired a round ball of .75 caliber, approximately three-quarters of an inch in diameter, with a black-powder charge, ignited by flint, that pushed the ball at seven or eight hundred feet per second. when it left the muzzle (modern rifles send the bullet out at just over three thousand feet per second). The militia volunteers were usually used to supplement the Continental (soldiers), but were quite often not as dependable or steady as they could have been had they been trained better, and they often evaporated after receiving the first volley and before the bayonets came. Most of them were also issued smoothbore muskets and some had bayonets for them, but others had rifles, which were very effective at long range but could not mount bayonets. Special Ranger groups, such as Morgan's Rangers, had an effect far past their numbers because of the rifles they carried. A rifle, by definition, has a series of spiral grooves down the inside of the barrel - with the low pressure of black powder, the rifling then was with a slow twist, grooved with a turn of about one rotation for thirty-five or forty inches. A patched ball was gripped tightly in the bore and the grooved rifling, and the long bore (up to forty inches) enabled a larger powder charge, which allowed the ball to achieve a much higher velocity, more than twice that of the smoothbores. And the high rate of rotation, or spin, stabilized the ball flight, resulting in greater accuracy. I enjoyed Woods Runner. It's a good tale, and I learned a little bit about warfare in that time that was interesting. Give it a try! As you might imagine, MARCH: Book Two picks up where Book One left off, both on the day of Barack Obama's first presidential inauguration in 2009 and back in 1961. I know that an education is important and I hope to get one, but human dignity is the most important thing in my life. This is the most important decision in my life--to decide to give up all if necessary for the freedom ride, that justice and freedom might come to the deep south. Henry Page has never had a girlfriend, but he thinks he knows what it is going to be like to find his soulmate. That series of events was so NOT what he experienced when he saw Grace Town walk into his classroom for the first time. Grace was wearing over-sized men's clothing, had unkempt hair, appeared as if she has not showered in a couple days, and walked with a cane, but there was something about her that stuck with Henry. There are so many things about her that Henry doesn't know and she won't talk about that he simply cannot stop thinking about her. Does he like her? Does she like him? First love, how exactly does one do that? LIttle twists and turns in each character's story weave together to form an intricate web of love, loss, family, and friends. Krystal Sutherland has written beautiful characters to be devoured. Fans of Rainbow Rowell and John Green will love this story.